Start by making a resolution that you are going to follow through this exercise without interruptions. Do it with careful attention, very slowly, and notice each part of the task as you do it. See how easy it is to speed up again as you forget that you are trying to do it slowly! Take the kettle and fill it with water, turning the tap on slowly, turning it off with great caution. Place the kettle back on the stove without a bump; wait for it to boil. Don’t go off and do ten jobs while it comes to the boil. Take out your cup and place the tea bag into it and very carefully pour the water onto it. Gently stir and then remove the tea bag. Walk slowly over to the refrigerator, open the door carefully, take out the milk and close the door. Walk back to the cup and pour in the milk as slowly as you can, and then return it to the refrigerator. Sit down. Wait. Pick up the cup carefully, as though it would break if you touched it forcefully. Bring the cup to your mouth very slowly. 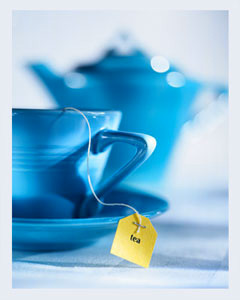 Sip the tea and really taste it, feel the texture of it, notice the temperature of it. Place the cup down, wait, pause, pick it up again and continue like this until you have finished. Notice how often during this simple routine your mind wanders on to something else. How often your mind wanders off elsewhere. If you do this a number of times, you will recognize that we spend very little time in the present. So much of the day is spent doing things physically, while the mind is somewhere else, leading to confusion, forgetfulness, and a feeling of not being in control. Do I listen well to others? Reflect inward more frequently and check in to what is going on inside. Try to make space between tasks that you do, consciously completing one before you start the next. Finish the day by recapping what you have done during the day.